There are many ways for people to be frugal when shopping for groceries. Many are obvious and some will require thinking outside the box. 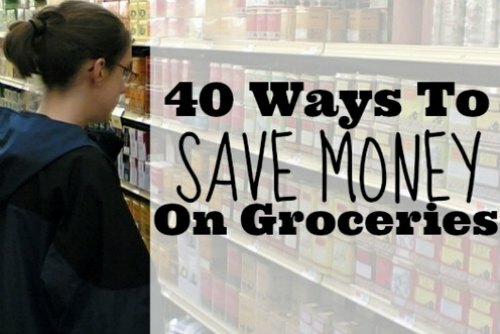 If you want to save money on groceries, then knowing some of the better ways will be beneficial. The best way to save money on groceries is to have a set amount to spend. People often buy things that are not needed when they do not pay attention to how much they are spending. You can create a budget to see how much you spend on groceries each month. Create a spreadsheet or use an app for a tablet or your smartphone. Tracking the cost of every item you purchase will be necessary to save money on groceries. This is the best way to determine if any items have gone up in price. If you have a list of items, then you can refer to it to know when to replenish or restock. Growing your own vegetables, fruits, or herbs is another way to save money on groceries. You need to determine which items will grow in your area. Seeds can be bought in bulk or you can plant seeds from fresh produce. Cooking at home is also a good way to save money on groceries. You can make many of your meals more affordably rather than going out. Meals that you make at home can be frozen and reheated when needed. Another idea is to save leftovers that would otherwise be thrown in the trash. Many places get rid of food that has reached, or is near, its expiration date. These foods are often marked down or given away for free. You will be surprised and pleased at how easily you can save money on groceries when you take the time to know a few tricks. One final piece of advice is to avoid bringing kids with you when going shopping for groceries.